Friendly, professional service. Good communication regarding needed vs recommended repairs. They went the extra mile to clean the van. And they had me picked me from my home to get my van when the repair was completed. The experience the day was bought our new Chrysler Pacifica was awesome. The sales representative was very attentive and knowledgable of the vehicle we were looking at. Also they worked hard to find the best possible price for the vehicle that we wanted. I would go back there in a heartbeat for my next new car in the future. Exceptional Customer Service & Support; from the first call through the completion of the Service! The waiting room was nice. The only thing rough was the sound of the motor in the soda machine. Its definitely not a jeep ,or maybe it needs a muffler. As always, A-1 customer service. Service Rep Billy does an exceptional job when it comes to the care of my vehicle. I really can't see myself going anywhere else. 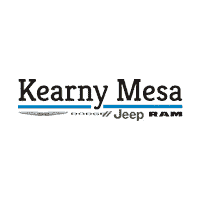 THANK YOU Billy and Kearny Mesa Chrysler Dodge Jeep! Great people! Call and ask for Christie!